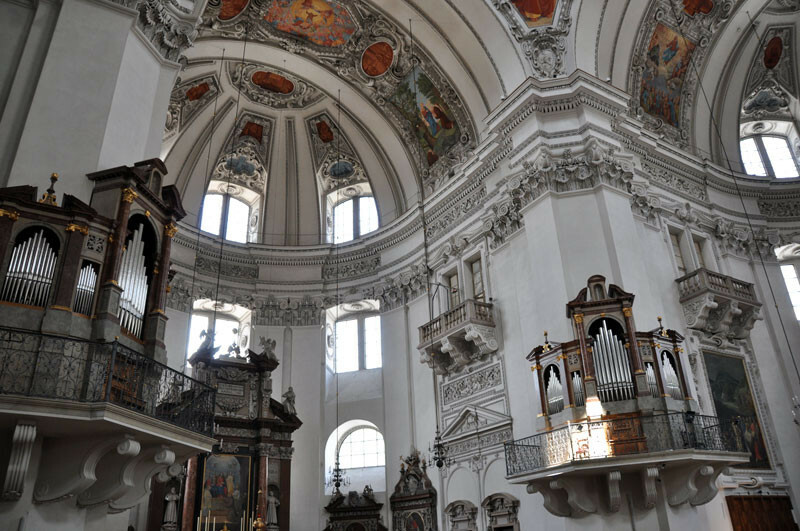 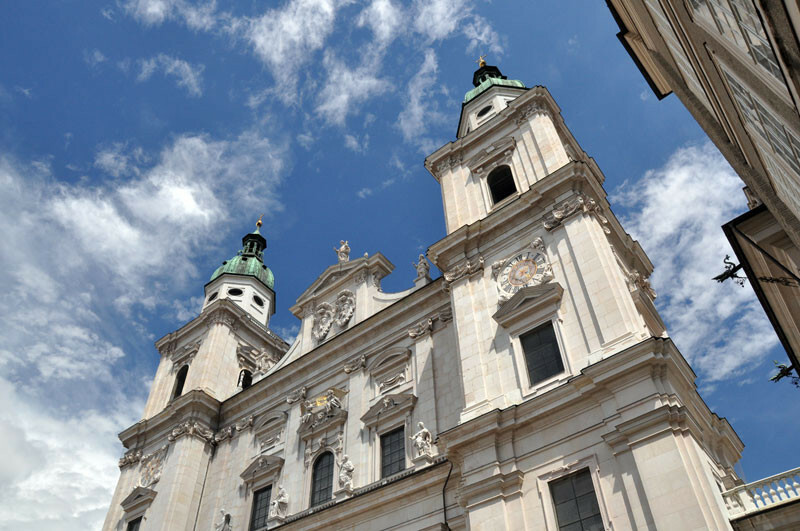 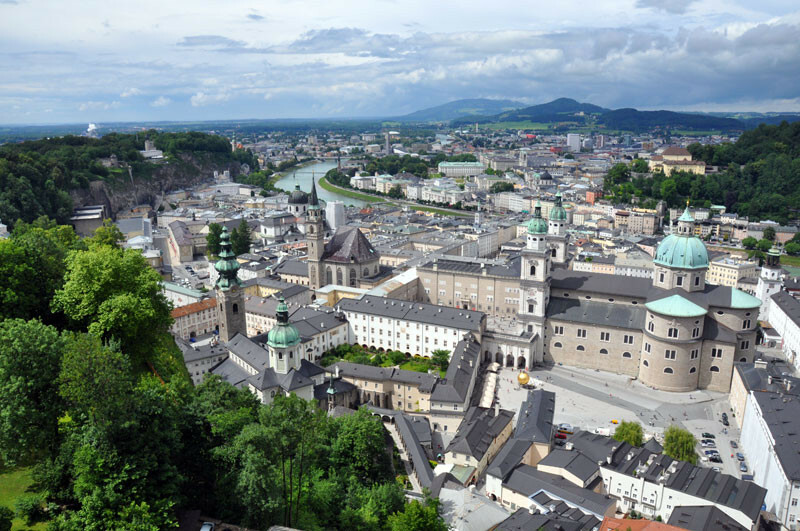 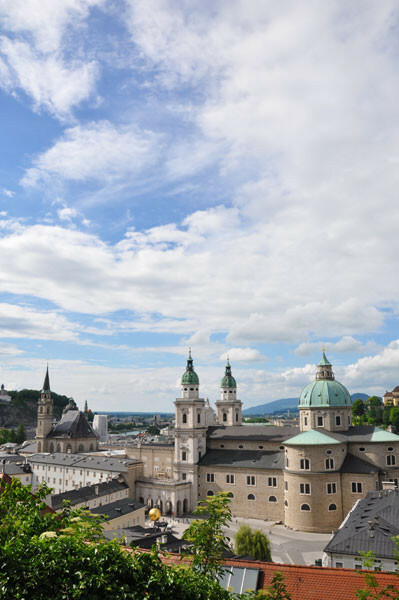 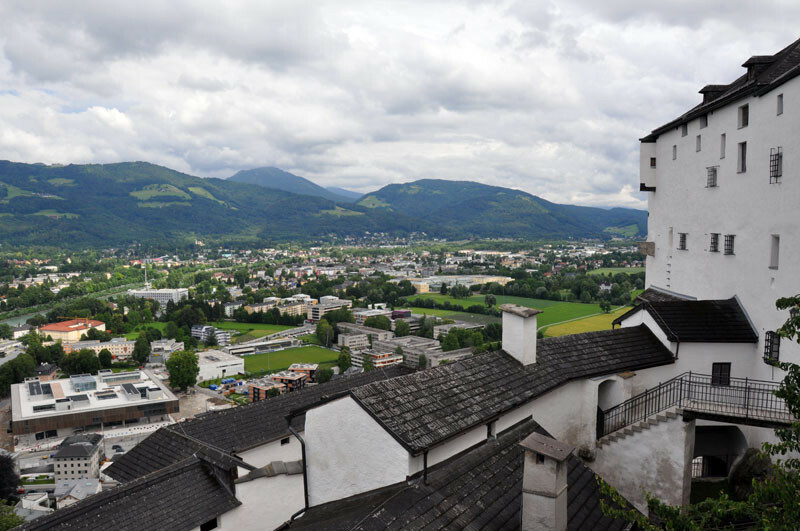 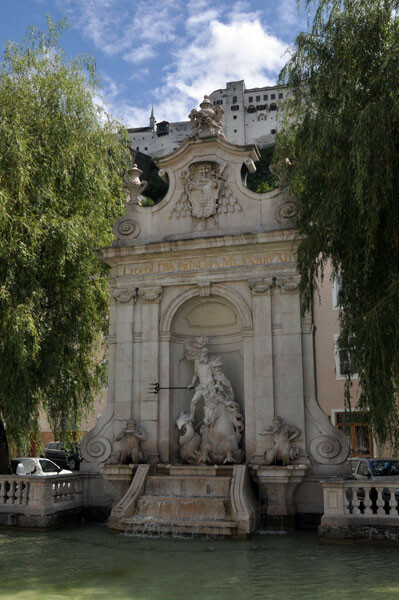 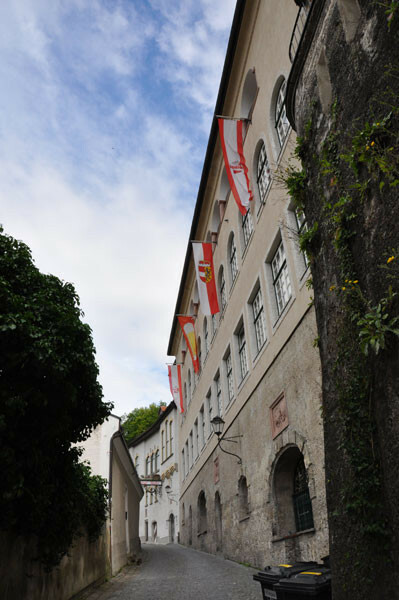 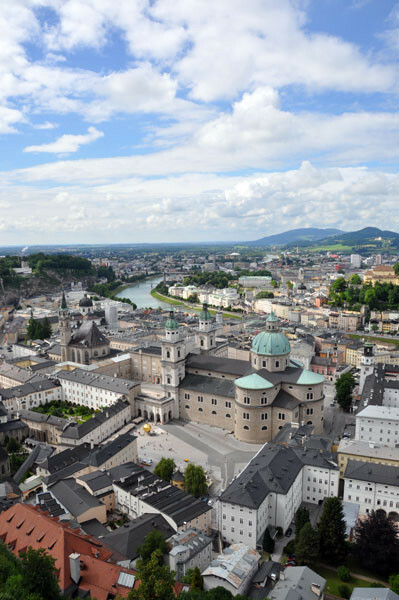 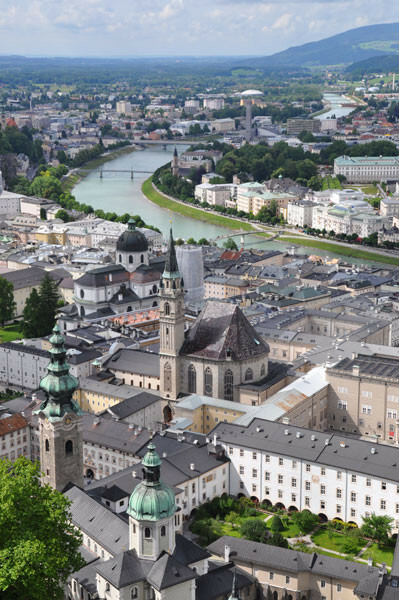 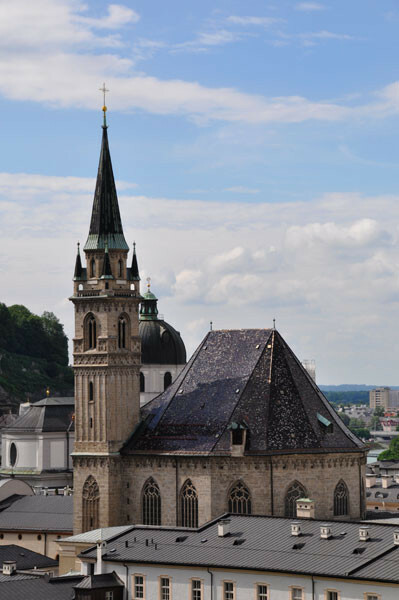 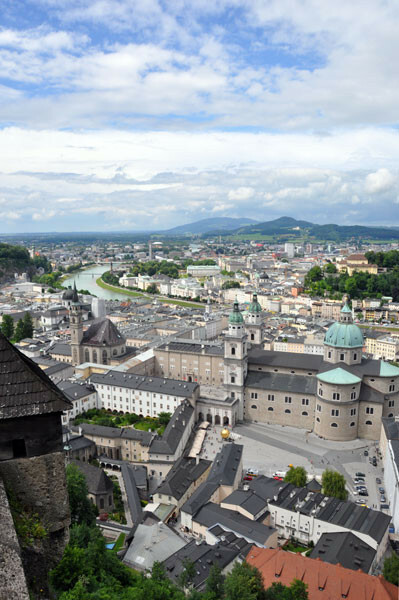 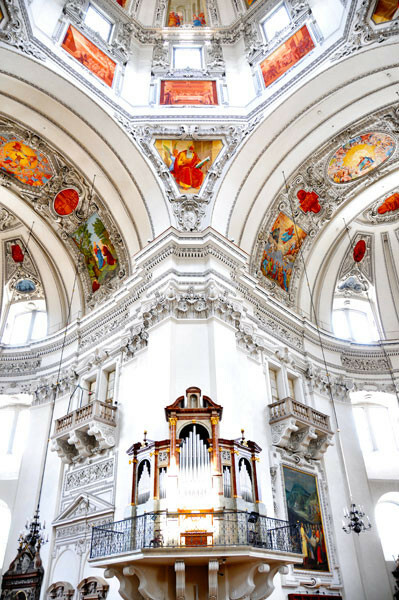 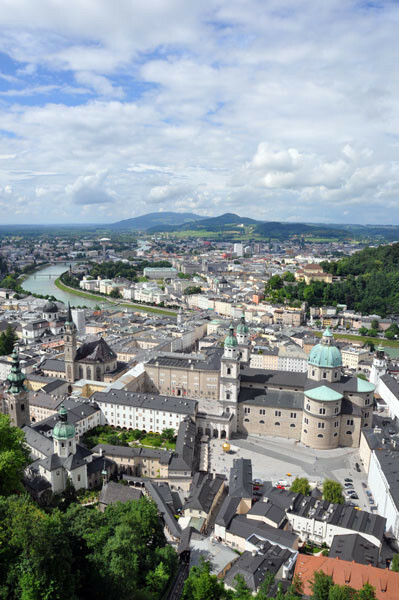 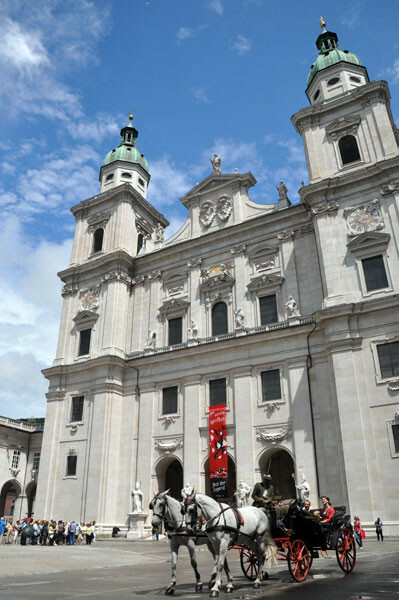 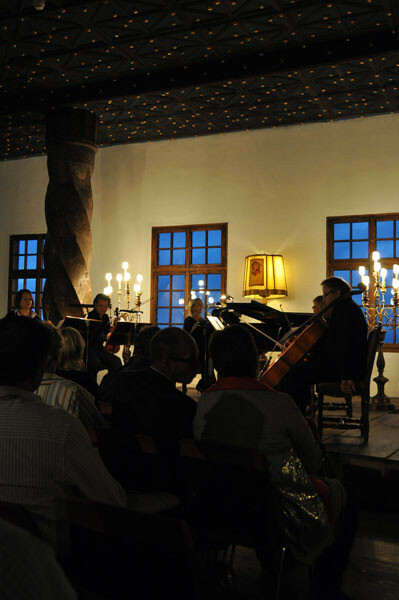 Salzburg was Mozart's birthplace and the setting of the Sound of Music, on top of which the old town was listed as a UNESCO World Heritage Site in 1997. 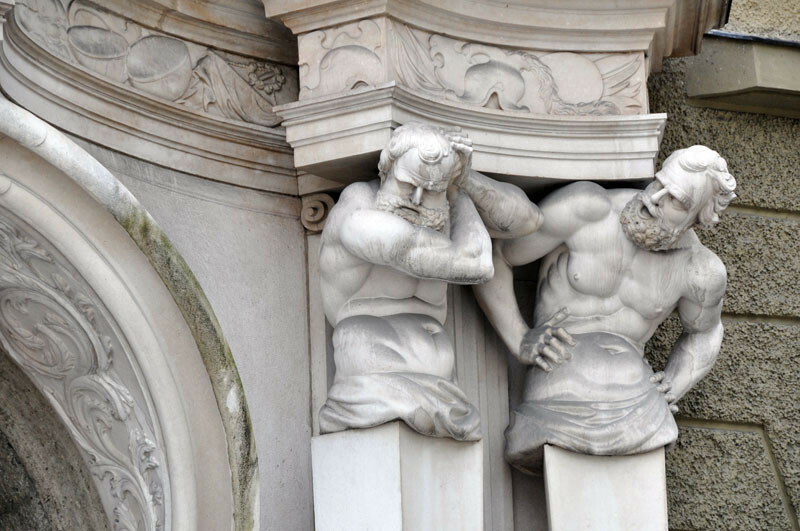 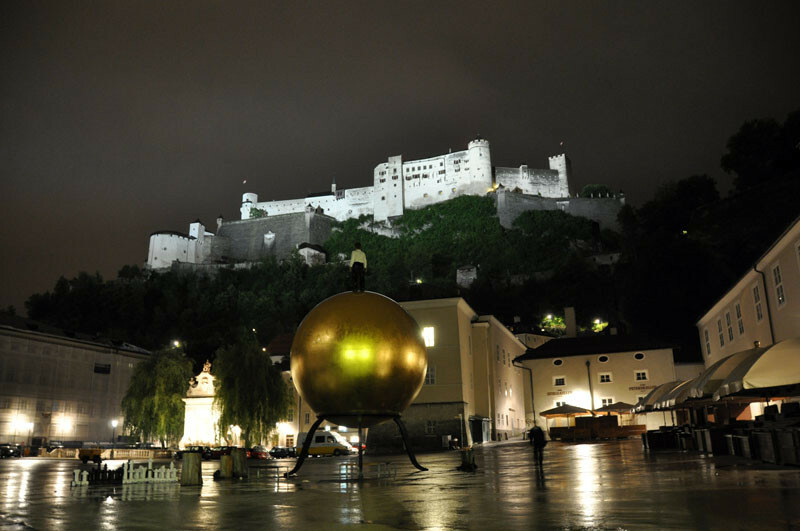 So it has a bit of tourist value going for it. 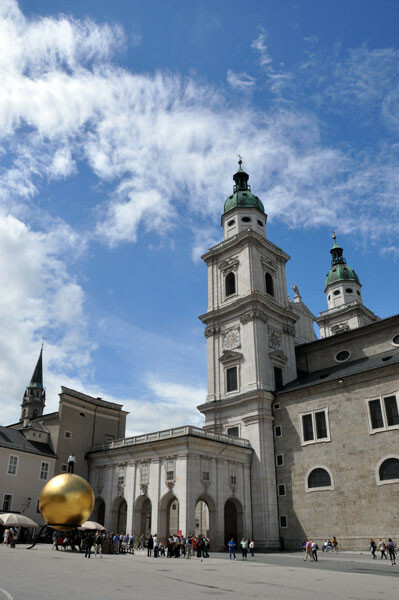 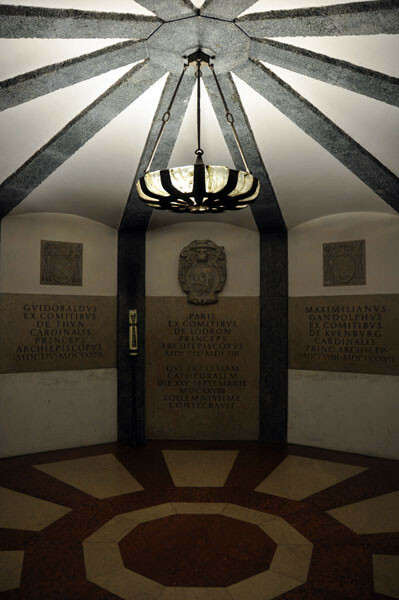 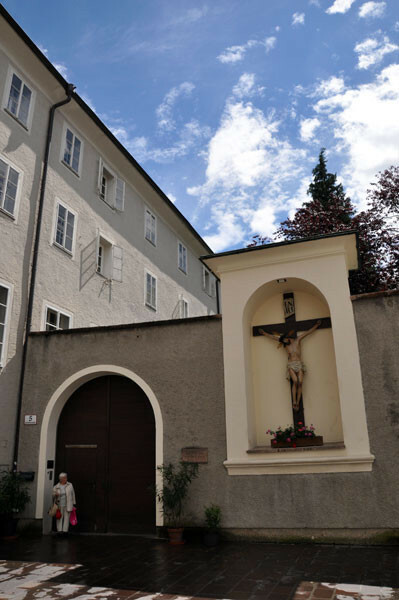 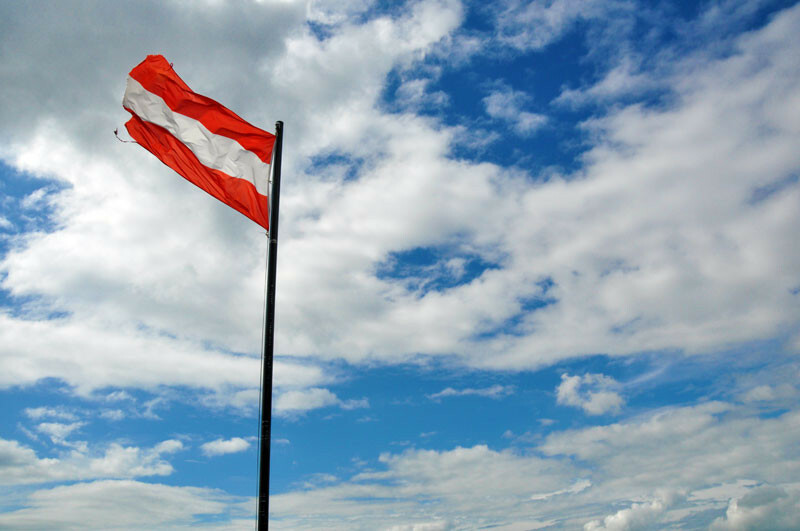 They still offer Sound of Music tours. 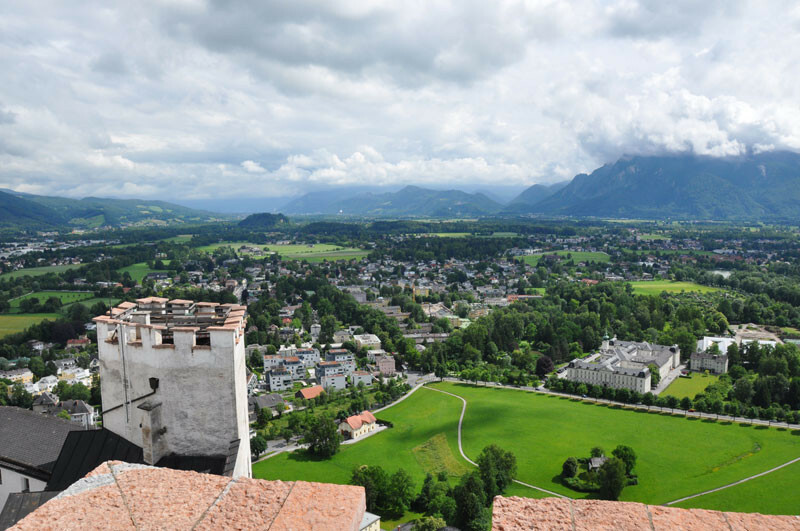 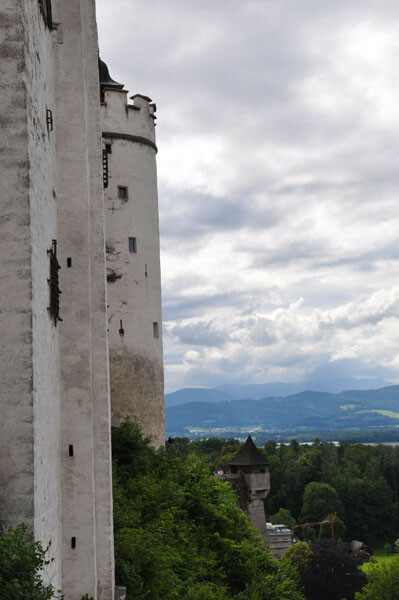 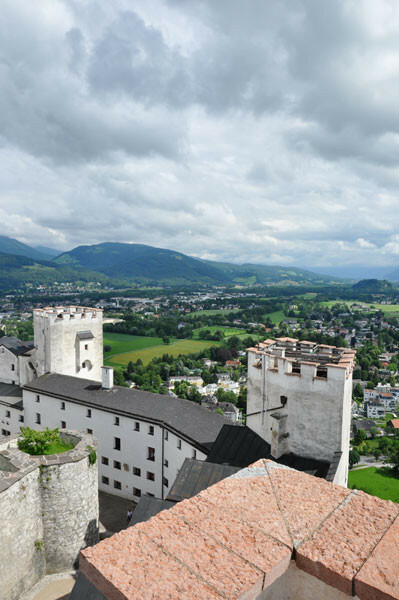 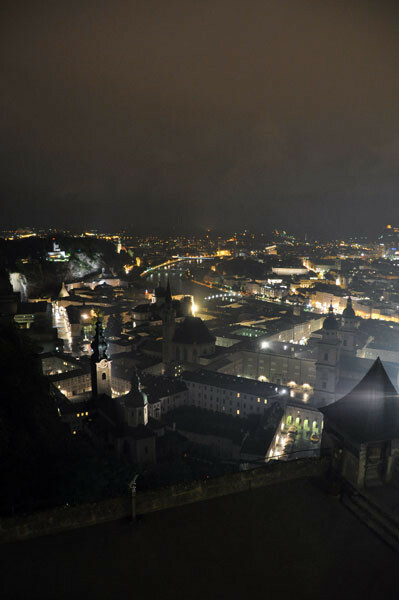 All taken from slightly different vantage points on the way to—or from the top of—Hohensalzburg Fortress. 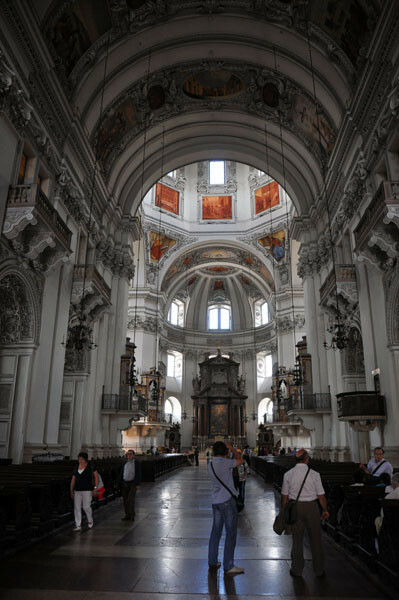 This cathedral has ceilings that would make Michelangelo blush, plus four organs ringing the transepts to create some serious surround sound. 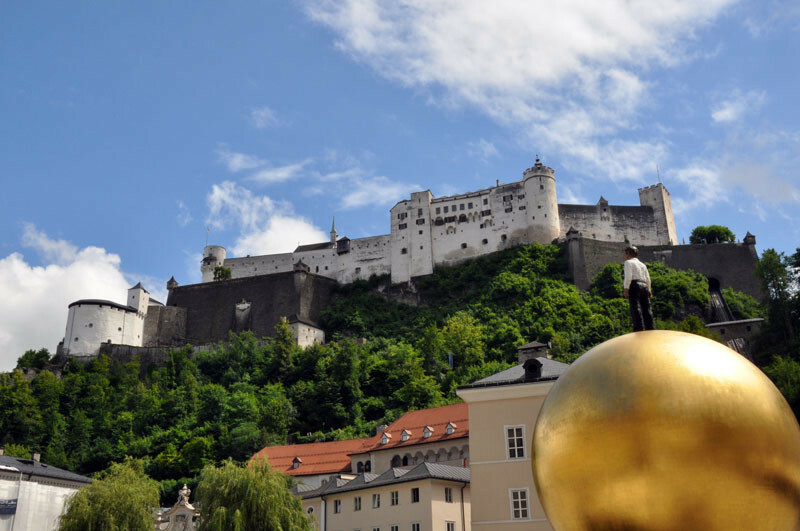 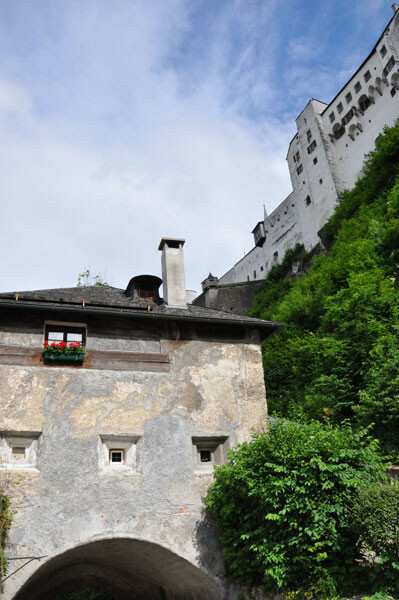 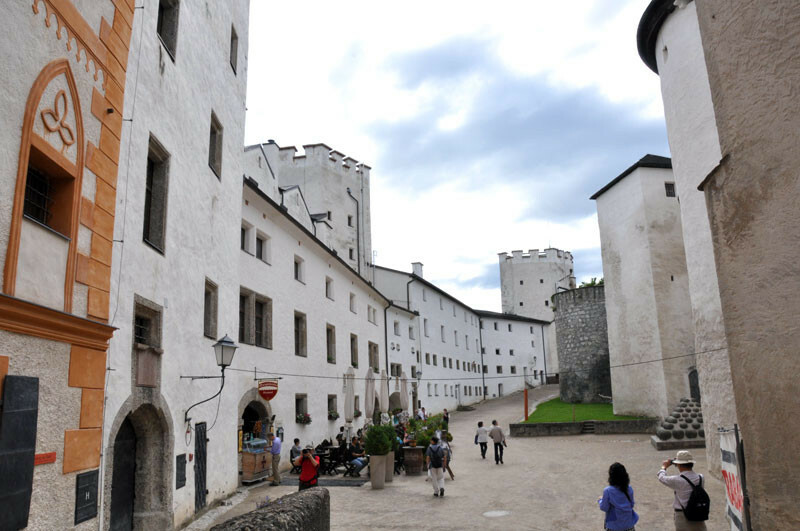 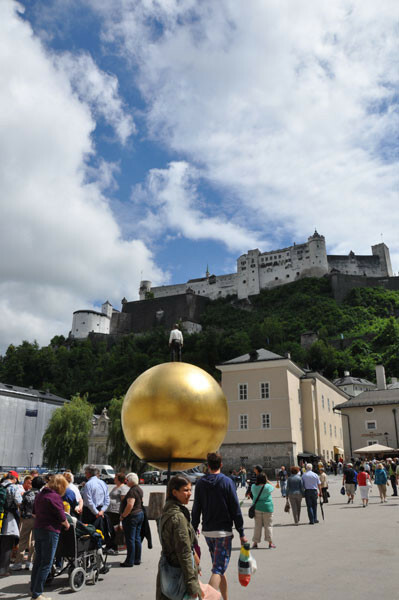 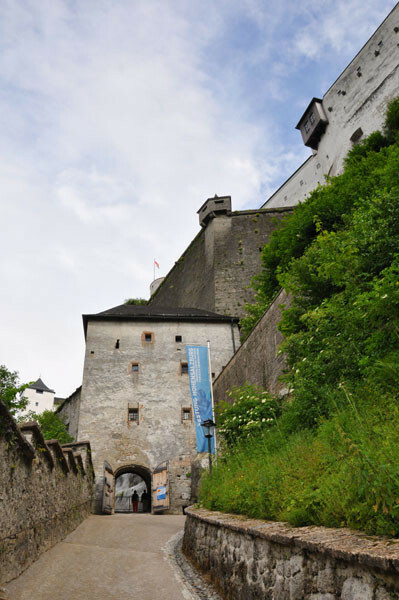 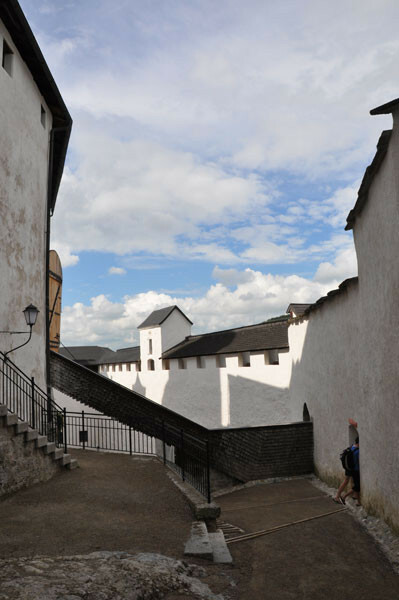 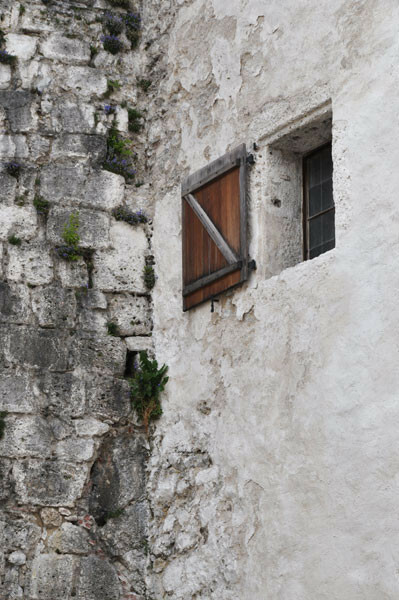 Hohensalzburg Fortress wasn't used as a residence after the middle ages, so it never got a Baroque gold-and-cherubs whitewash like many of the other ancient buildings in Austria. 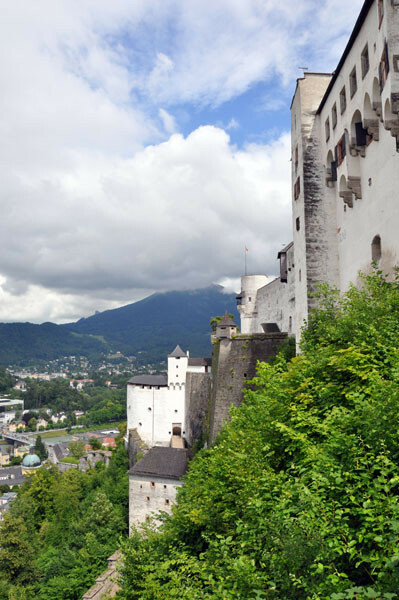 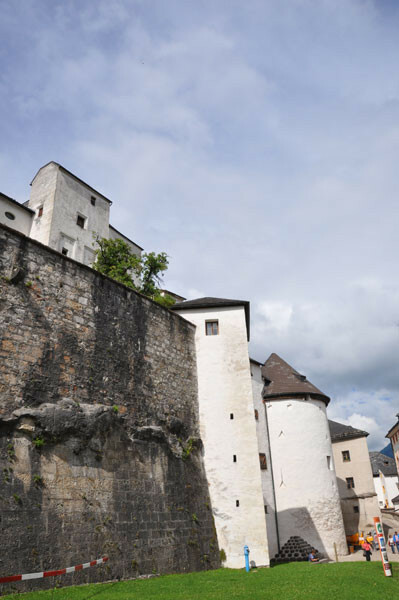 It remains one of the largest medieval castles in Europe. 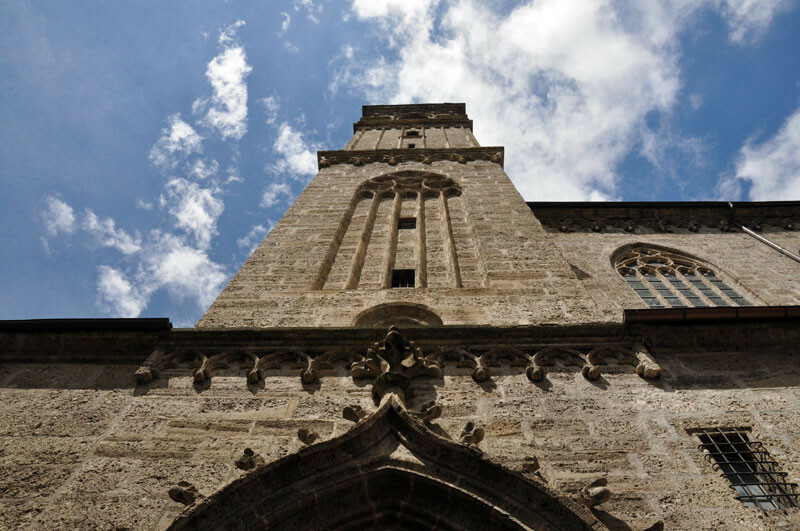 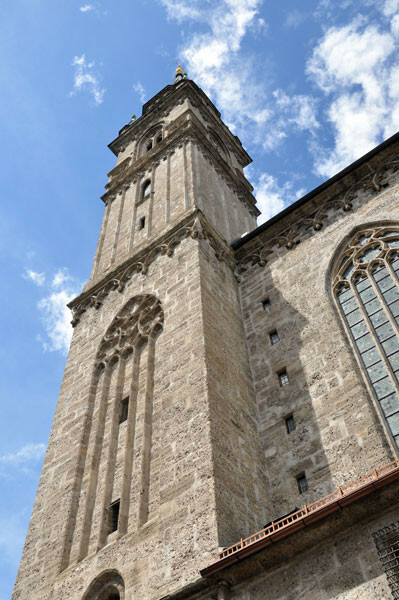 This is a brilliant Gothic church: dark, eerie, with huge high spaces. 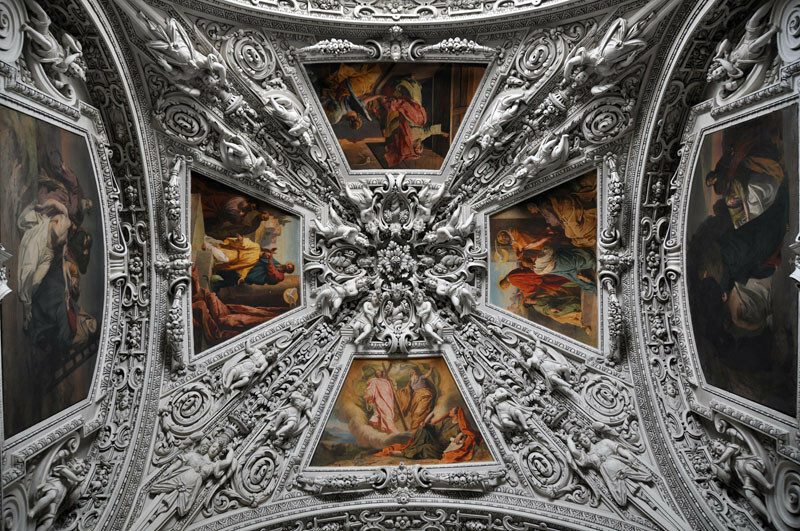 Someone tried to cutesy it up by filling the spaces around the altar with Baroque scenes of cherubs, but they just look like cardboard-box dioramas dropped into a dark alley.